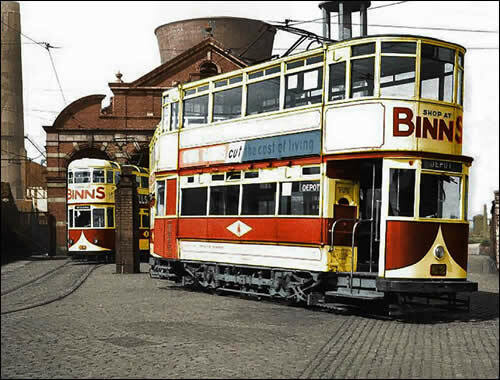 A nice view of two trams at Hylton Road Depot, Sunderland. Sent in by © Malcolm Fraser. Photo is showing tram 69 (and 26 in background) at Hylton Road depot on 28th May 1950 (RF Mack). The Corporation "Electric Works" can be seen behind the shed.